We all experience emotional struggles and each of us has our own way on how to deal with it. 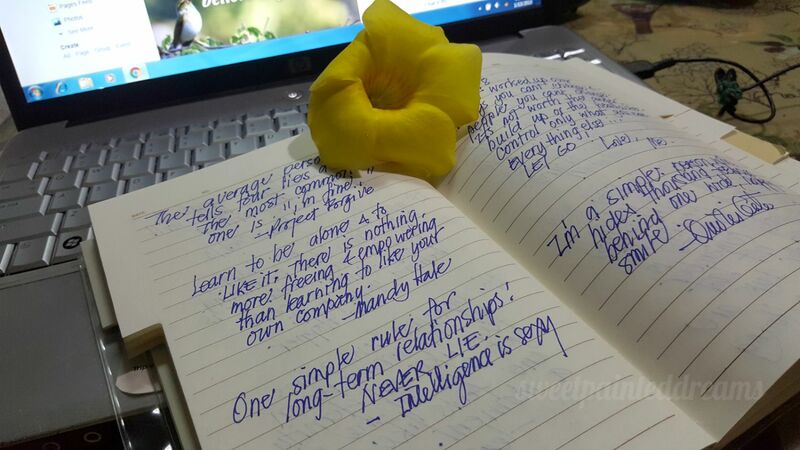 In my process of self-healing, i usually write quotes that i could relate to based on what i have experienced and what i am trying to heal from. It is not easy getting over pain, heartbreak and hurt and betrayal. Inspirational quotes motivate and inspire me to go on. They uplift my mood, encourage me to be positive and make me feel hopeful and happy. And what else could make me happy? These cuties. I just hug these fur babes and i would feel okay. Cat’s purr is believed to have therapeutic effects on human as it is both relaxing and healing. Cats spread a lot of positive energy too which is exactly what i need. 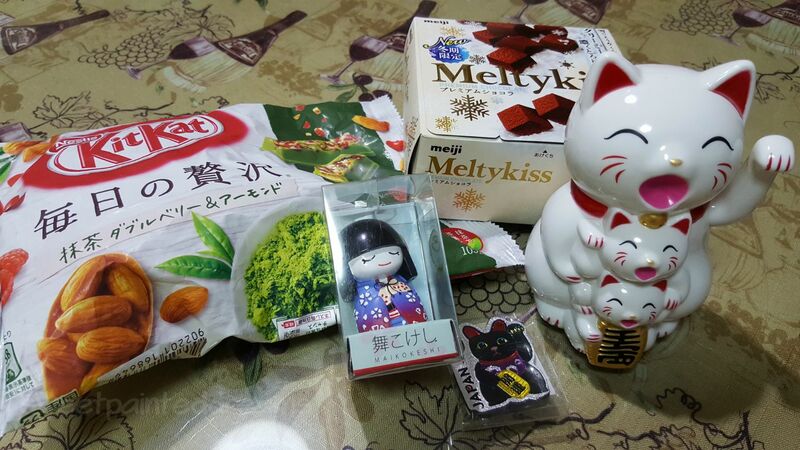 My niece arrived home from Japan and she sent me these goodies. She actually asked me what i wanted and i said Maneki Neko. It is believed that it is best and luckier if it is to be given by someone. Well, i got what i wanted with some bonus goodies. Maneki Neko is a Japanese cat figurine that is believed to bring good luck. 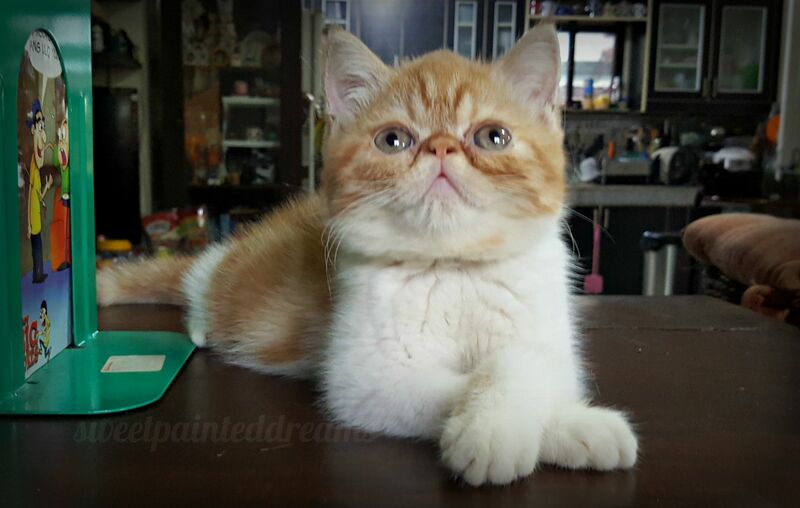 Right paw up attracts money and success. Left paw up attracts customers which is good for businesses. Luckily, i think i have both as the middle kitty in my maneki neko has its right paw up. My figurine is white and it is for happiness. Black ones are for protection, red for love , gold is for wealth, green for good health and calico or tri-coloreds are for extreme luck. I am glad i received a white one as my ultra wish is to be genuinely happy as it’s so difficult to put on a smile if deep inside the heart there are worries, pain and sadness. I need all the lucky charms in the world. Lucky charm or not, i believe that to really achieve my dream of being happy i should start with the way i see things and find something good in everything. I should have a mindset of being positive and not be affected easily if sometimes things would not turn out the way i want it and just think of how to make it better. I should avoid overthinking as i know it would just get me nowhere. I should always start the day with a smile. And more than anything else, i should be grateful for all the good things that happened and try to bury the past, all the heartaches and pain because at the end of the day it is only me that could create my own happiness. New year marks a new beginning… a fresh page to another year. I resolve to be happy, embrace positivity, find joy in little things and just go confidently towards my goals and dreams. 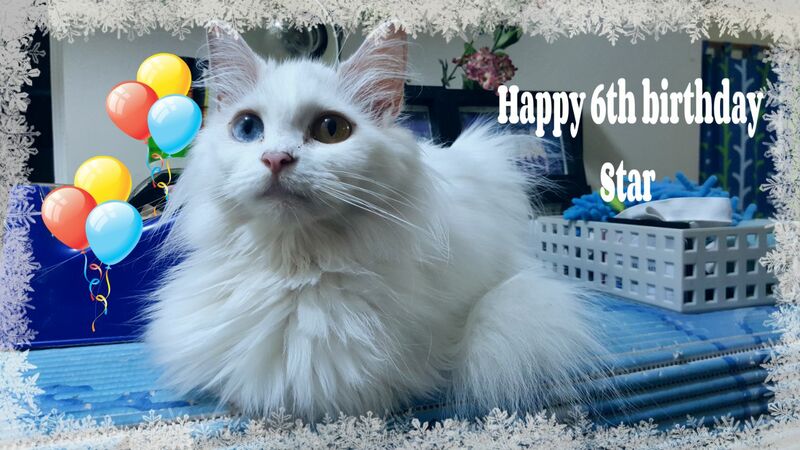 Starting the year 2018 by celebrating Star’s 6th birthday. I have so much to be grateful for my furbabes. I just hug them and my stress magically disappears. I have faced a lot of challenges in 2017. I hope that 2018 would be a better year. I sincerely want to have a more relaxed state of mind… to be genuinely happy and to be FINALLY free from all the negativities. Overthinking, worrying and feeling regretful are some of the things that made my 2017 challenging. Overthinking just doesn’t get things done. It is stressful and only causes restlessness and sleepless nights. This year I should try to focus more on self reflection and to accept the fact that life is not perfect. I should not also waste my time with too much worrying as it causes too much anxieties. May 2018 be a good one… Hello positivity, hello new dreams, hello new me. 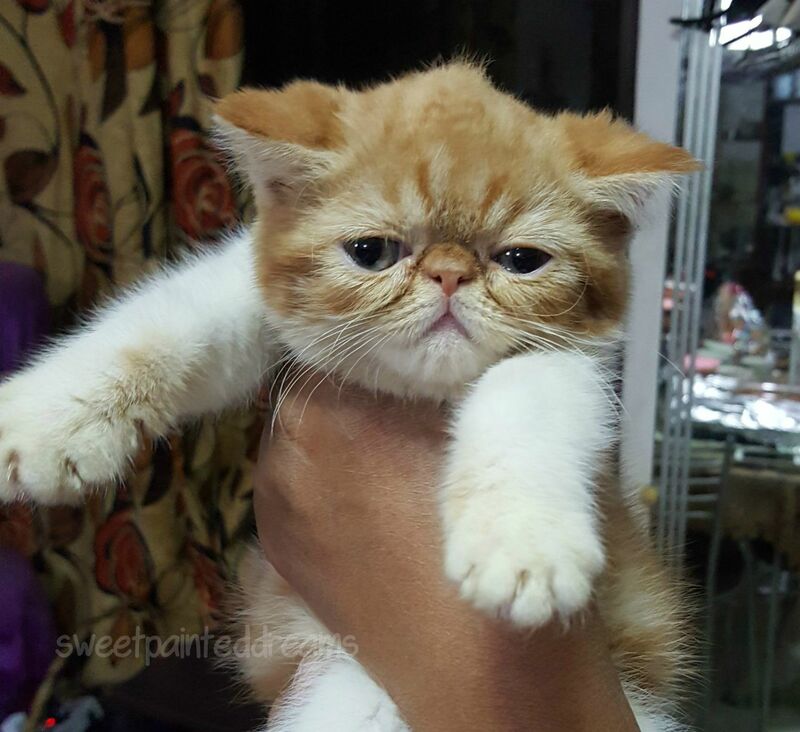 I could still remember the day i got Marwind from the breeder. Looking at 6 pups, he was the one who approached me and i fell in love instantly. 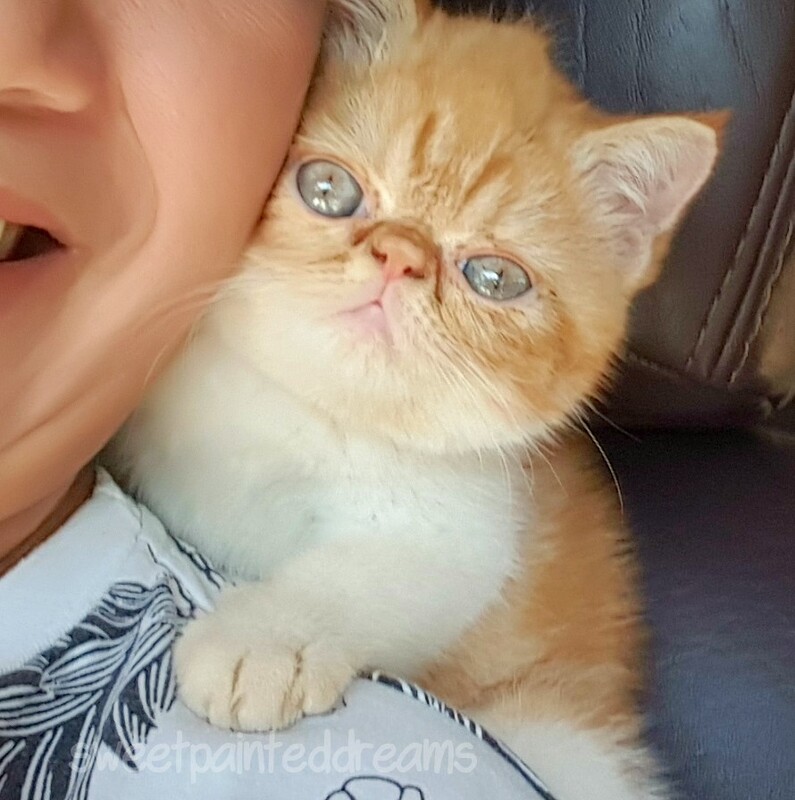 I immediately held him in my arms to know if he would really bond with me and he settled in right away and did not have any resistance at all. That’s when i knew that Marwind is the one. Details on his certificate are: sire Meghana’s Lifeline Jasper; dam Dora Von Der Nacht – daughter of PH Champ Ebby Z. Milabru. Marwind is a grandson of a Philippine Champ. 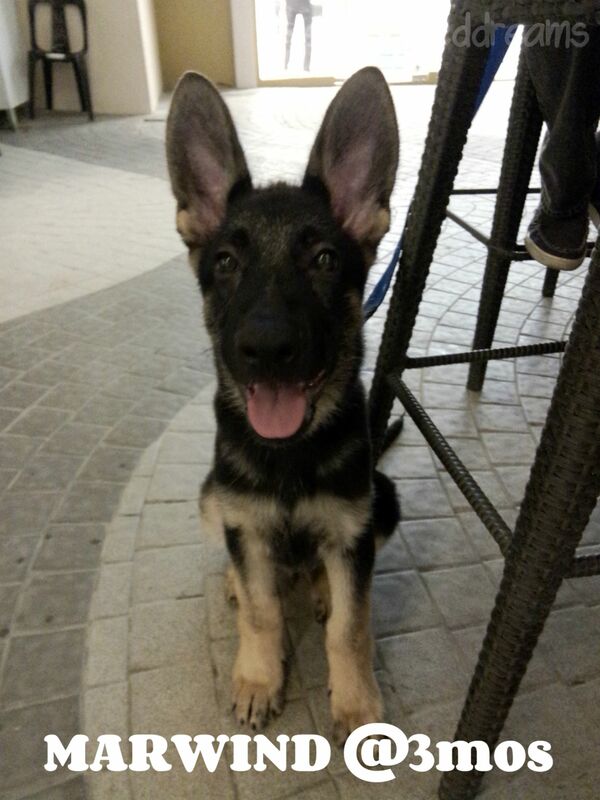 We used to take Marwind at the mall quite often when he was just a puppy. He instantly attracted so many stares and petting because of his cuteness. Now that he’s an adult and has grown so big, he still gets a lot of attention whenever we take him out and because of his size and good looks i always hear people say “ang laki” (so big). Taking him on car rides gets him lots of stares and admiration too with that big face sticking out of the window. As a guard dog, he is fierce, territorial and very loyal. He has a deep and loud bark that sounds so intimidating. He barks at anyone approaching or near our gate. But, whenever he is out of his own territory which is our home, Marwind is a very cool dog and he could be petted by anyone. He is calm and comfortable when at the vet and unmindful of the barkings of other dogs. He doesn’t mind being handled during routinary check ups like opening his mouth, checking his teeth, checking his ears and body, etc. He is just one cool dog outside of his realm. Also, he is very protective of me that sometimes even to the point of not letting my other dog Rafraf be near me. Marwind loves ice. I give them as treats. He also enjoys playing with water. 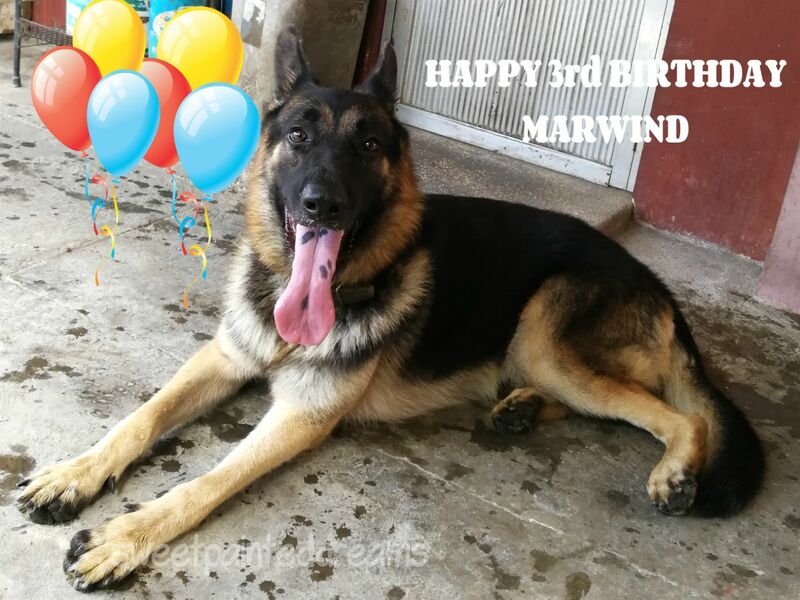 Happy 3rd birthday Marwind of Gershephund. You deserved all my overflowing love and care. 2017 is generally a good year but sometimes a bit of challenges and problems pop up along the way. There are happy and festive memories with some sad ones too but life goes on… just pick up the pieces and enjoy, be thankful, be merry and do good deeds. JANUARY. The year started wonderfully. Family reunions and celebrations were the best part of this month. FEBRUARY. So lucky enough not to be celebrating valentine’s day alone. My youngest son was my valentine’s date. We had a nice dinner and just enjoyed each others company. 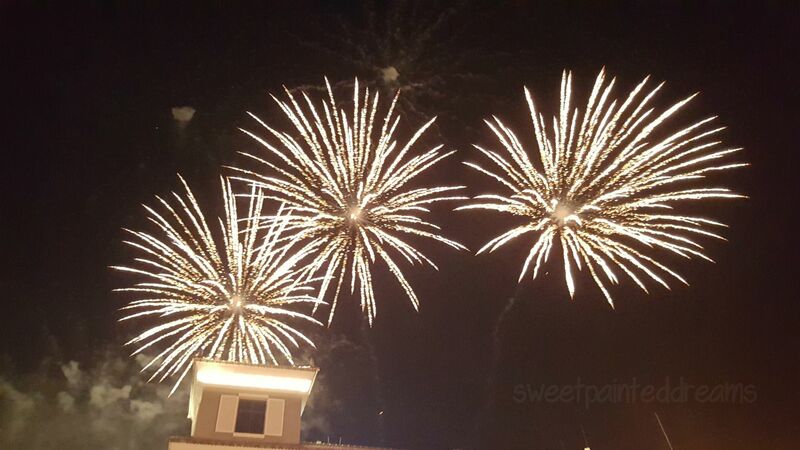 We talked about his wish of finding a job and capped our date with watching valentine’s day fireworks display. MARCH. My daughter’s birth month and my niece’s wedding. All my family stayed in a resort as we waited for the big day. 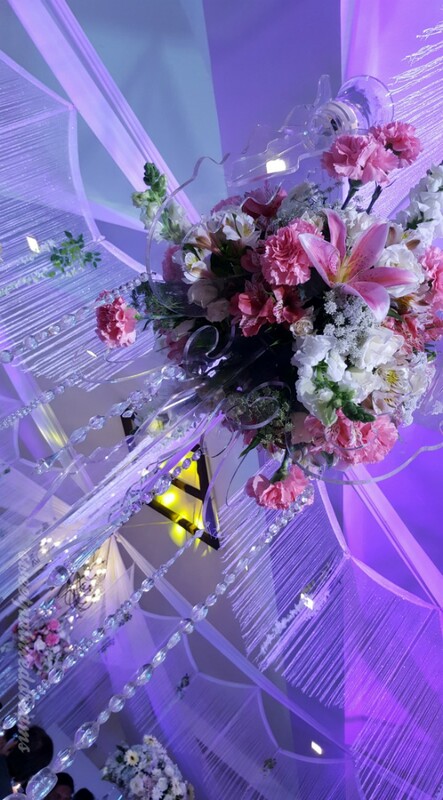 It was so memorable as it was the first wedding in my family. It was also my first time to walk down the aisle wearing a lovely beaded lace gown as one of the principal sponsors. The event was so magical. APRIL. Welcome home Toyota Wigo. I helped my eldest son of finally having his own car. Also, my youngest son’s dream of having a job finally came true and we are all so delighted about the good news. MAY. I really have no plans of adding more cats in my household but i just couldn’t turn away a fur baby in need. 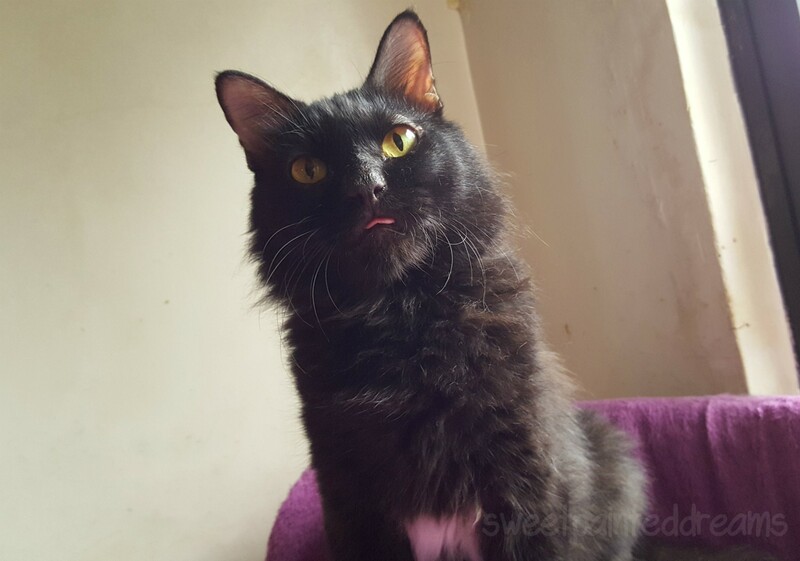 Goldie is a rescued black cat and he became my number 7. He received all the medications he needed, was neutered and i welcomed him to my home. JUNE. My nephew’s birth month. I really looked forward to birthdays as it’s that time when we have a sort of mini family reunion. I cherish every moment i spend with all my family. JULY. My mother’s birth month. So much to be thankful as my mother celebrated her 84th birthday. AUGUST. My late brother’s birth month. I still miss my brother. He was gone too soon. SEPTEMBER. My youngest son’s birth month. My sister arrived from abroad. My african love bird Lemon crossed the bridge. I experienced so many emotions this month. Happy as we celebrated my son’s birthday, excited that i finally hugged my sister when she arrived home for a short vacation and sad when my bird Lemon crossed the bridge because of old age. OCTOBER. My eldest son and my sister is sharing the same birth month. I am happy that my eldest son has a steady job working as a chef in one of the popular comfort food restaurants. Since my sister is working abroad, greeting her via a phone call is the best thing. DECEMBER. Happy month. Finally renewed my passport for my travel plans next year to visit my sister in Dubai. Yey! The most fun of it all is celebrating Christmas Day with the family. The best part is i welcomed a new fur baby AKIRO. Here’s her first selfie with me… Isn’t she cute. I love this teeny weeny bundle of joy. As i begin to welcome the new year 2018, i would try to do better, be happy, start on a positive note, rid of all the negativities, begin a new chapter, start afresh with new set of dreams. 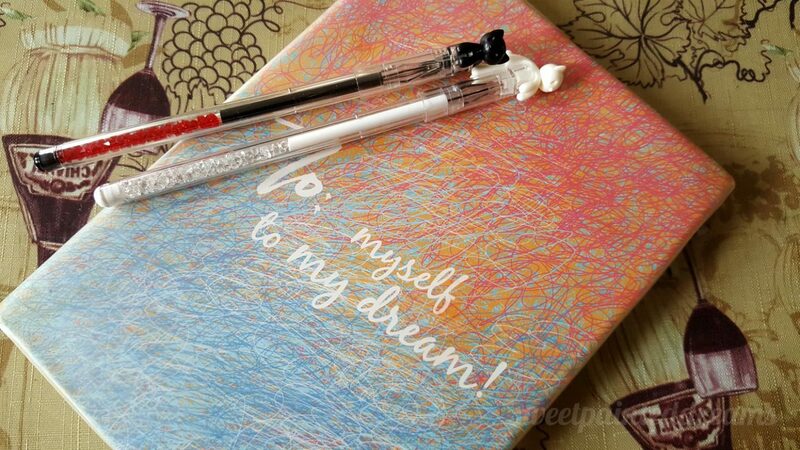 To myself, to my dream. Looking forward to a happier 2018. Rafraf, a native local aspin dog that i adopted from the province. He is 2yrs old. Kristina, my very first pet who is already 11 yrs old. Don’t let her age fool you, she is still a puppy at heart. 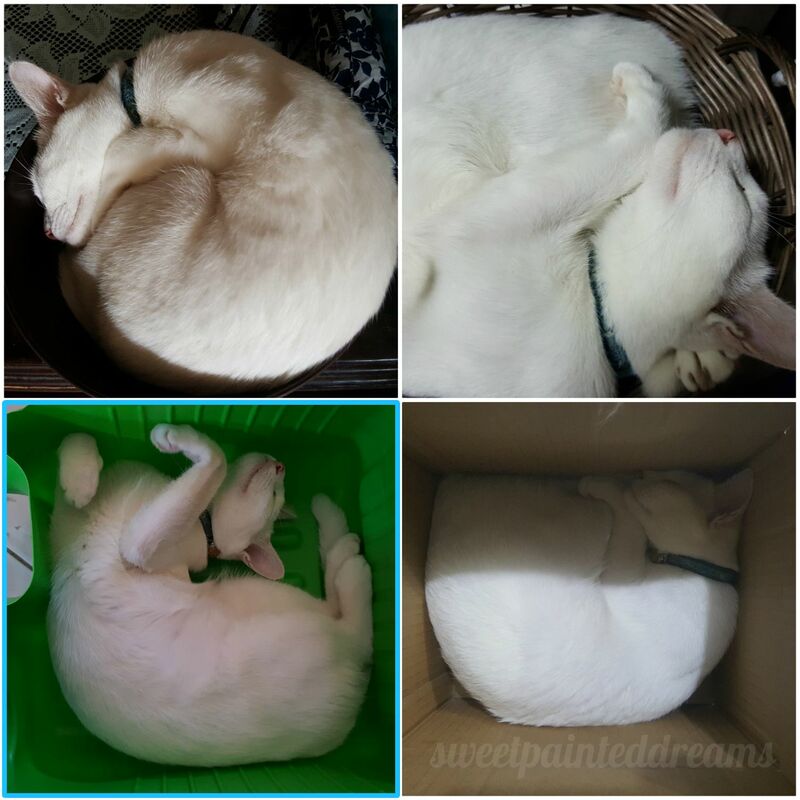 Star, (white persian cat; middle photo) my princess… my first cat. She will be turning 6 yrs at the end of 2017. Boots, (gray persian cat) a foster fail. Tiger, (white and orange cat) my 2nd cat. I adopted him from the shelter to be Star’s playmate. I just celebrated his 5th year adoptversary last October 2017. Kuting, (gingercat) previously one of the outside cats that i feed but made him an indoor cat because he is just too sweet to be an outside cat. Ashton, (tabby) i rescued him last 2015 as a teeny-weeny kitten fitting the palm of my hand. Now, he is a big boy who loves to eat. Goldie, (black cat) a rescue. From a skinny, baldy, hungry, scarred cat he turned out to be a beautiful cat and i was surprised that he actually has semi-long coat. 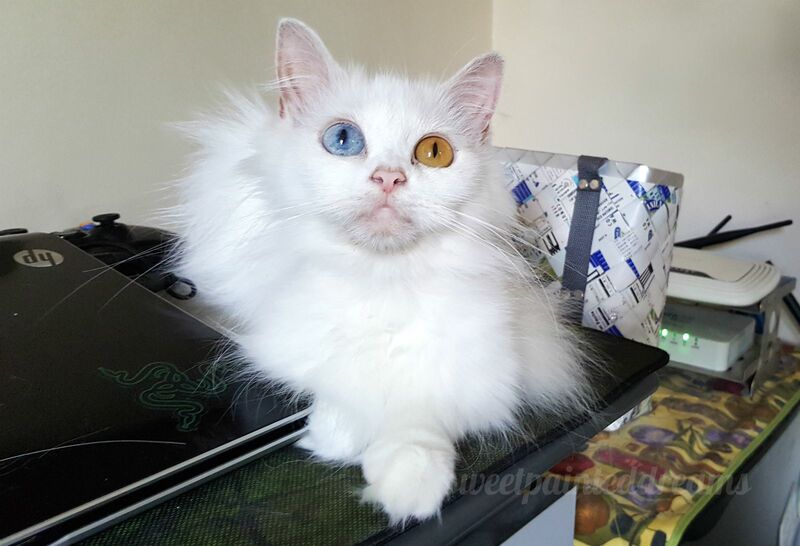 Puti, (first photo) my special needs cat. Because she is deaf, sometimes her meows are so funny. Big Mama, Big Boy, Trico, TepTep and Lily. Side Story: While doing this post my son arrived home and surprised me with a new kitty… his Christmas gift to me. Oh my gosh, truly unexpected and i cried with joy.. Here he is… AKI, a cute addition to my big furmily. Welcome home sweet baby. Cats are so fond of tight places.. my salad bowl which i just temporarily placed on the center table became one of their favorite nap spots. A salad bowl became a cat bowl. Same thing goes to my fruit basket which is now officially a cat basket. “If i fitz i sitz” is the famous TRADEMARK slogan of cats. 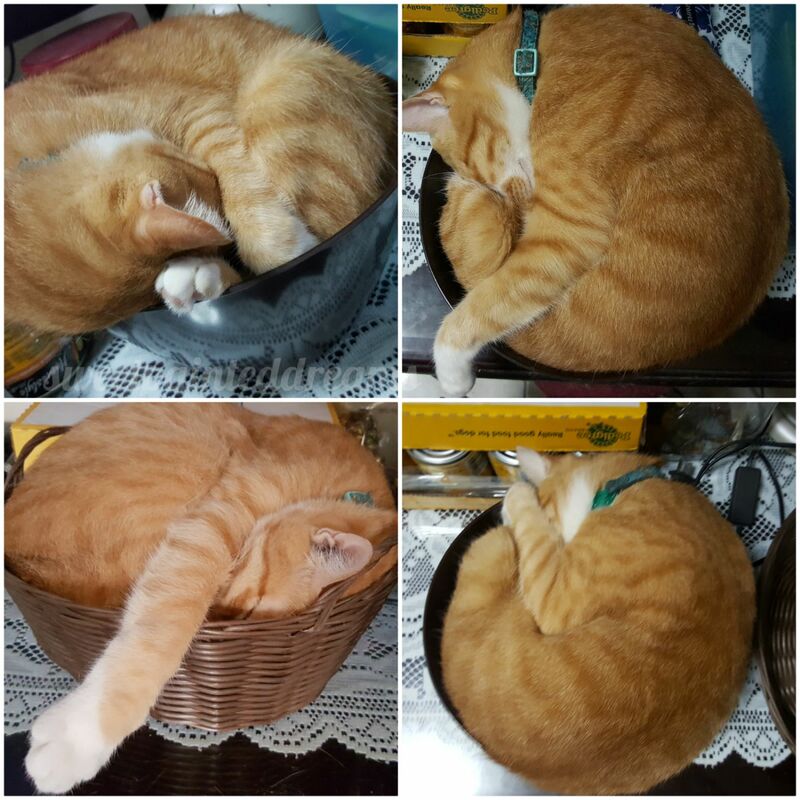 My cat Tiger loves to squeeze himself into my salad bowl and my fruit basket. He is a big cat but he still fitz. Since Puti is the youngest among my cats and is the smallest, she could pretty much fitz herself in. Ashton, the tabby cat has the biggest belly and is always having a hard time to fitz. Kuting is obsessed with boxes. He’s always the first one to dive in whenever i place a new box to play with. Tiger sometimes love to snuggle tightly at the back of the curtains. 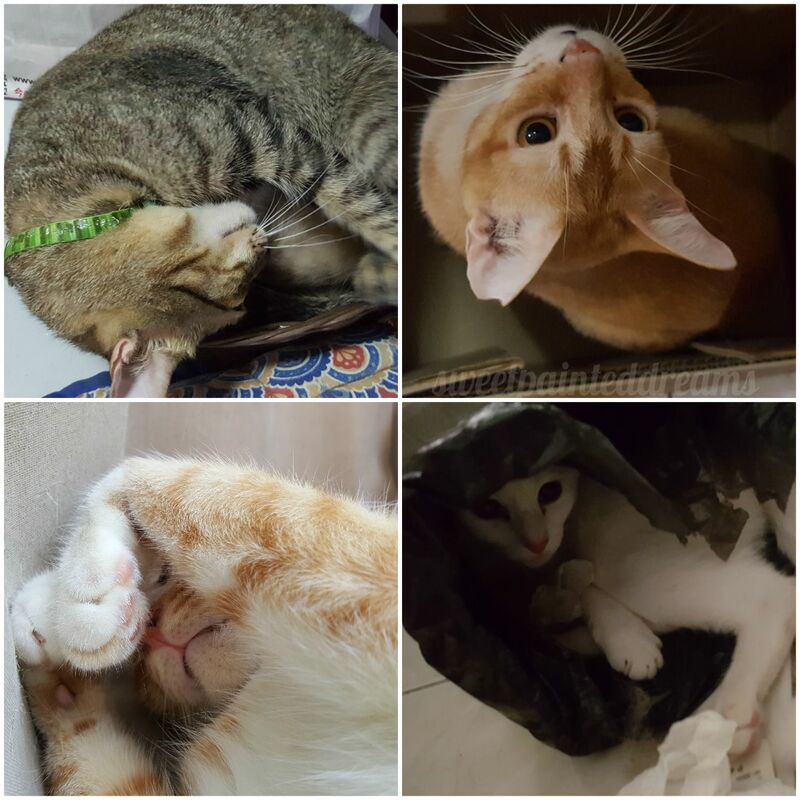 Lower right photo features Puti who managed to force herself into the trash bin. 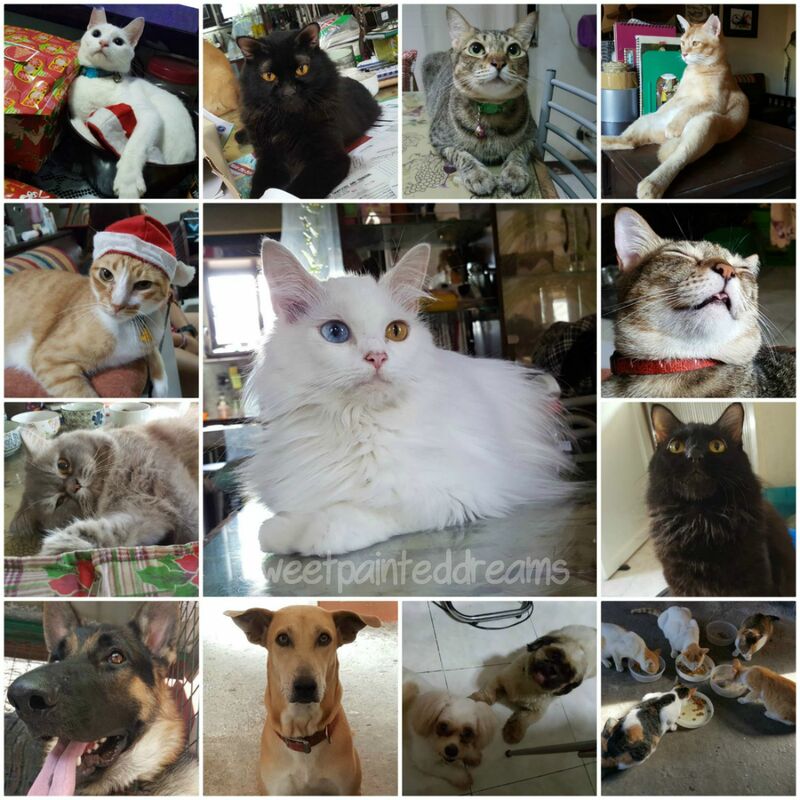 Cats are oftentimes silly and mischievous whenever they are on play mode but are sweethearts during relaxed moments. But most of all, they lower my stress level, great companion, fun to talk to and absolutely are the best in the world in keeping secrets hahaha. I'm so grateful for everyone who clicked Like, commented and subscribed. Thank you for reading my posts.